Many great modders actually choose not to do a public beta release. They usually have their own small and experienced beta testing team anyway. 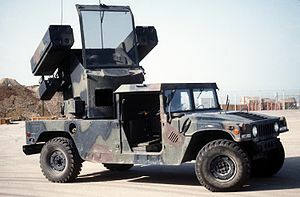 Though it's not a planned thing, Fluffy's question about the tow missile, it could be done like Crossout's tow missiles, flies on it's own for 7 seconds but you can direct it to it's target before it explodes. That said, I'm looking forward to the Brutus and that amazing rear suspension, will be be watching the updates and am eagerly, but patiently, awaiting release. Well Crossout and BeamNG don’t run on the same game engine. So how would that work? Someone with a bunch of knowledge about lua and jbeam would need to make that work. Implementing that would probably involve another few months of development on its own. Hmmm... You could probably tell the game to create the missile as a new vehicle and allow the user to fly it themselves as it goes, but I believe that it would be hard to create it as a separate vehicle from a programming standpoint(?) and also probably not what the person had in mind. It is possible to make a separate vehicle with lua. It has been done with the spike strip mod but I have forgot who made it. I think the only problem with this is that the UI would lag spawning it in. Plus FPS would drop. How were the missiles made for the ME262 mod? I think those were unguided, so they were considered detached parts of the vehicle that had thrusters on them? It had guided missiles as well. I doubt @Stoat Muldoon would agree to that. remeber the me262 and how one of them had quided missles maybe add that to it? it would be awesome tho. yes it would be awesome id also like someone to make mods for the btr80 but i dont think thats happening but besides that we will alow change and offer ideas wether listende to or not because we all care about this vechile and its development as the consumer. how about "Brummer H1" ? Name has already been decided 2 years ago.